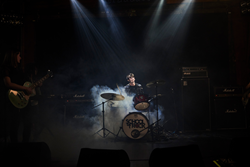 School of Rock has been transforming the lives of kids and adults for over a decade from shy or computer driven to being open to conversations and performing on stage in front of a live audience, making it seem like anything is possible. 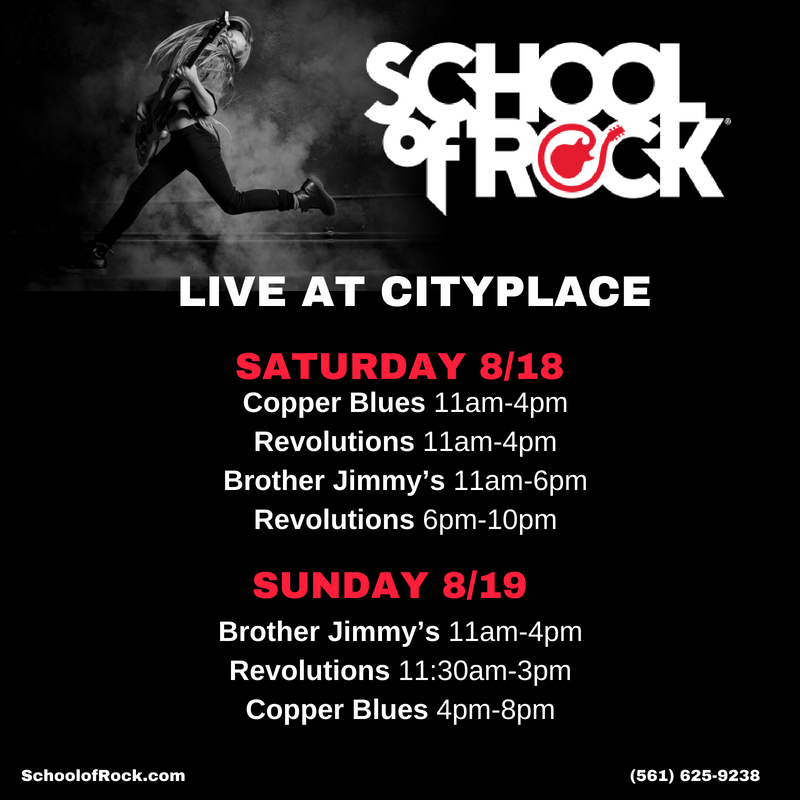 This summer, August 18th and 19th, School of Rock is celebrating their 10 year anniversary at the North Palm Beach location and are making a big deal out of it by having the whole weekend filled with rock at CityPlace with Brother Jimmy's, Copper Blues and Revolutions all taking part. School of Rock has been working with thousands of kids, performing thousands of songs, taking the stage hundreds of times. School of Rock continues to help kids with their confidence showing them anything is possible and at the same time helping keep rock-n-roll alive for future generations. Nationally, School of Rock began 20 years ago in Philadelphia PA. Twenty years later, there are over 200 locations around the world. Rick Rothschild, owner of the local schools, began 10 years ago as part of the School of Rock Tradition, new schools typically start with "Pink Floyd's The Wall" and in the fall, the North School will begin practices to perform that in January. “We have come a long way and have seen many of our students studying music in college, performing at Sunfest and making music a huge part of their lives,” says Rick. On August 18th and August 19th, Rick is bringing all of his students from 5 years old to 73 years old to CityPlace where they will be taking over places such as Brother Jimmy's, Copper Blues and Revolutions for a rock-n-roll extravaganza. They are going to have an amazing 2 days at CityPlace. From the littlest students, 5 years old, to 10-12 year olds, to the oldest member at 73, and also kids that have already graduated School of Rock are going to put on a show like you’ve never seen before. Be on the lookout for the Fall shows dedicated to AC/DC, Guns and Roses The Who and more. This is a free event, open to the public with all Rock Fans, Rockers and Little Rockers invited to see how we roll, rock-n-roll.